Fabrics constructed of recycled yarns. Premium wicking fabric has smart technology that provides proactive thermo-regulation and superior moisture management. S (32CD-34C) M (34CD-36C) L (36CD-38C) XL (38CD-40C). High Impact for C and D cups. Encapsulation and compression support (internal lining supports each breast individually while outside shell offers compression). Racerback styling offers wide range of arm movement and non slip straps. M-frame front lining structure for support -minimizes vertical and lateral breast movement. Double knit spacer fabric cups for modesty - molded cups for shaping and support -gives support to each breast individually. Double layer side front lining panels for added side bust support (keeps breast forward in cups so there is no balling out to the side at underarm that can cause chaffing). Stash pocket with cord opening - for lipstick, key, power gel, music device. Stabilized front straps to minimize vertical breast movement. Stabilized center front frame to reduce lateral breast movement. 1 inch bottom band elastic with strong modulus for secure snug fit and stability-plush back channels on elastic offer comfort and help move moisture away from the body. Back hook / eye closure for easy on and off and to customize fit of bottom band to each body - gel infused backing for comfort. Synthetic leather upper High abrasion toe (not a pitcher~s toe). Phylon midsole wedge Encapsulated heel. Air Sole unit . Advanced TPU Plate Metal and plastic plates outsole. A versatile, 3/4 inche height, interchangeable cleat. UPPER Breathable and lightweight mesh with supportive overlays for great lockdown. MIDSOLE Full-length Phylite midsole with encapsulated heel Air-Sole unit provides great underfoot cushioning. 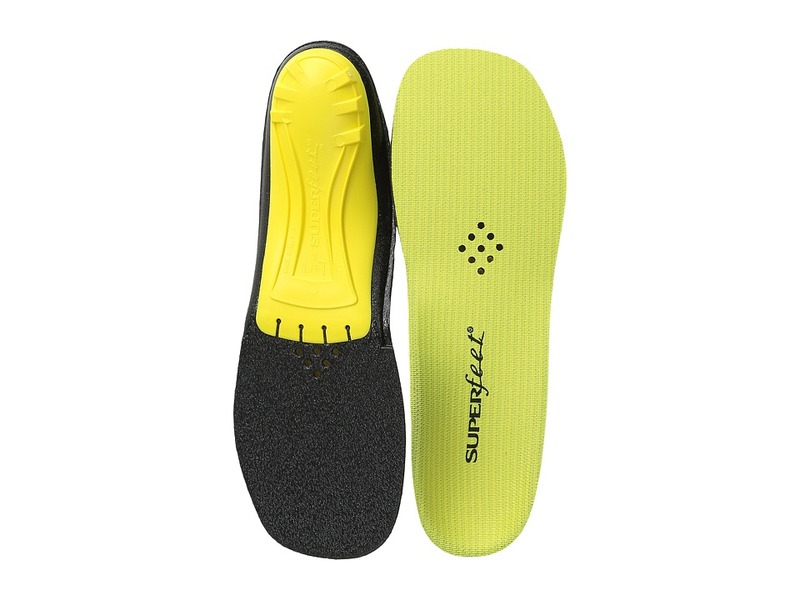 OUTSOLE Phylite and solid rubber combine to make a lightweight outsole with great flexibility and traction. Lightweight training shoe with enhanced flexibility breathability and comfort. A comfortable fitness sneaker that offers great support and comfort. Classically designed leather upper accents the Fila flag overlay. Abrasion resistant cup OUTSOLE encapsulates EVA to cushion the foot and provide a supremely comfortable footbed. Nike Air Diamond Fury Metal 3/4. UPPER Lightweight synthetic upper with molded heel for lateral support. MIDSOLE Lightweight soft Phylon. MIDSOLE and encapsulated heel Air-Sole unit. Lateral TPU cage provides supplemental cushioning while the dual-density performance sockliner utilizes. Celebrate the history of the Air Jordan franchise with laser-etched details. Premium leather upper for durability and support. Hidden lacing system and foam-backed collar for a performance fit. Air-Sole unit in the heel for impact protection. Encapsulated forefoot Air-Sole unit for lightweight cushioning. Solid rubber outsole with a herringbone pattern for durable traction. The Jordan B. Fly Big Kids~ Basketball Shoe is designed for a quick first step and lightweight containment with a durable woven upper and responsive cushioning. Woven upper with asymmetrical lacing for ultimate lockdown Encapsulated Air unit delivers low-profile, responsive cushioning Phylon midsole for lightweight cushioning Rubber outsole for durable traction. The Air Jordan 1 Retro High Nouveau Mens Shoe recalls the hoops original with a redesigned premium upper and encapsulated Air-Sole unit for soft cushioning. Leather, synthetic and textile upper for durability and a premium look. Encapsulated Air-Sole unit&ampnbsp&ampnbspin the heel provides cushioning. The Jordan Reveal Mens Shoe features a breathable mesh upper, leather trim and low-profile Air-Sole cushioning for lasting comfort a streamlined look. Mesh upper with leather overlays for breathability and support. Webbed lacing system wraps your foot for stability. Injected unit sole doubles as an outsole for lightweight comfort. Encapsulated Air-Sole unit for superb cushioning. Herringbone pattern for durable traction. Flex grooves for natural movement. The Air Max Light dropped in stores in 1989 and was also know as the Air Max II which would make sense as it came out after the Air Max 1 in 1987. And you might even see the sight resemblance to the Air Max 1 the upper features thermoplastic straps breathable 420 Denier Nylon mesh and a variable-width lacing system. After the first introducing the visible Air-Sole Unit in the Air Max 1 the Air Max Light also features the same (Maximum-Volume Heel Air-Sole Unit). The Light also features a Forefoot Air-Sole Unit. And finally a polyurethane heel midsole encapsulates the Air-Sole unit and interlocks with a forefoot Phylon unit the result is excellent cushioning and flexibility. The Air Jordan Heritage has a tri-blend upper feature design lines inspired by the Air Jordan 1. An encapsulated Air-Sole unit in the heel provides lightweight cushioning while the solid-rubber cupsole utilizes deep flex grooves for flexible traction. The high-top silhouette provides a supportive feel and lends itself well for a casual look or a more dressed up one. Inspired by the Air Jordan XI, the Jordan Breakout Men~s Shoe boasts a streamlined look with durable leather, a bold forefoot strap and signature details. Durable perforated leather upper for premium comfort and breathability Low-top design provides comfort and natural range of motion Injected Phylon midsole provides lightweight comfort and stability Encapsulated Air-Sole unit in the heel offers impact protection Neoprene tongue and pull tab provide comfortable fit and easy on and off Rubber heel pod delivers enhanced durability and traction Carved grooves give the shoe depth and dimension. The Omnium sandal is versatile enough for all of your adventures. Quick-drying synthetic upper. Quick-release buckle for easy entry/exit. Integrated toe-protection. Encapsulated Shoc Pad in the heel. Microban zinc based anti-microbial protection. Soft, compression molded EVA midsole. Non-marking, Spider Rubber outsole. Spider Rubber: A patented process produces Teva~s most versatile rubber compound that successfully blends high friction and good durability, and performs exceptionally well on wet and dry terrain. Shoc Pad: A blended polyurethane/EVA unit in the heel cup that evenly transfers the energy of impact throughout the footbed and away from the heel. This energy return actually provides greater spring with each forefoot push-off. Microban Zinc: An environmentally friendly zinc technology that fights the growth of odor causing bacteria and fungus. Built-in antimicrobial product protection provides continuous odor control that won~t wash off or wear away. Measurements: Weight: 12 oz Product measurements were taken using size 7, width B - Medium. Please note that measurements may vary by size. Weight of footwear is based on single item, not the pair. Ideal for hockey and figure skates, road cycling shoes, track spikes and western boots. Perfect for feet with low to medium arches, but fits all arch types. 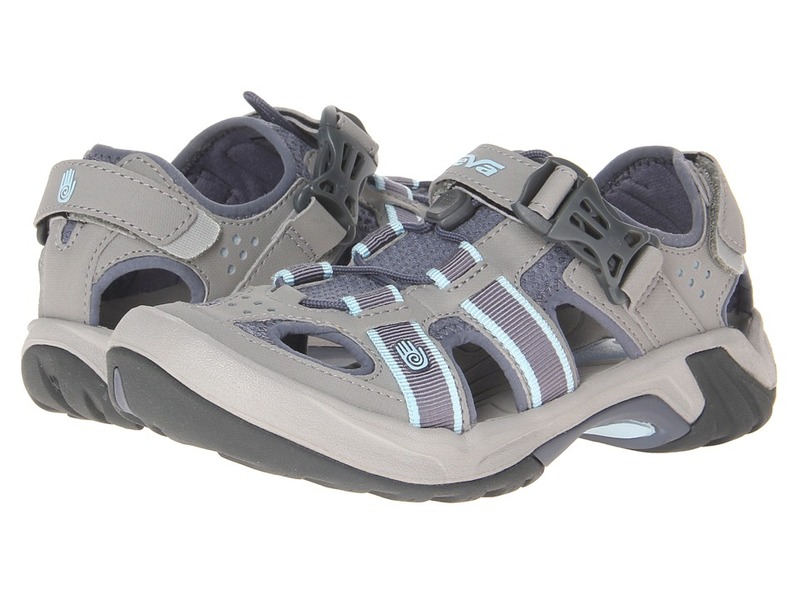 Features a wider forefoot to provide full underfoot coverage. Diamond Venting system aligns with the perforated outsoles of hockey skates and road cycling shoes for improved air circulation. Friction control top cover with Agion antimicrobial treatment to reduce bacteria and foot odor. Narrow heel cup design cradles the heel~s fat pad for improved natural shock absorption. Encapsulating Stabilizer System (ESS) provides firm underfoot support. High density foam ensures long-lasting comfort and support. Measurements: Weight: 2 oz Product measurements were taken using size A (Little Kid 13.5-2). Please note that measurements may vary by size.